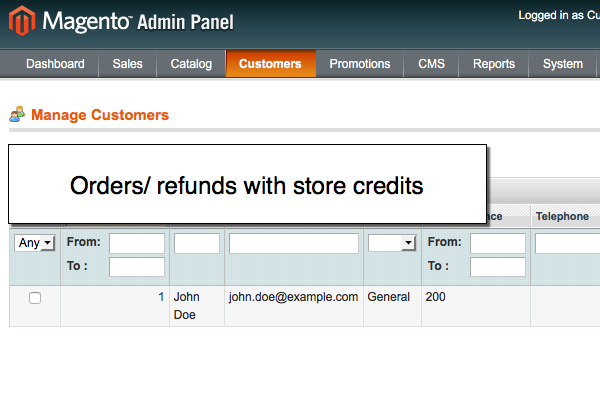 Let customers buy, earn & redeem points; createrules conditions for completing specific actions. 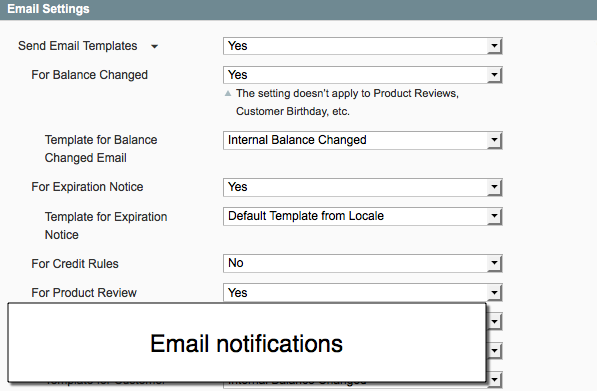 Send out personalized email notifications, assignemail templates for specific rules/actions. Specify reward points exchange rate, convert pointswith consideration of your currencies rates. Set expiration period (in days) for all/individualcustomers. Automatically refill balance & recharge codes, easily track usage & effectiveness of assigned reward points, etc. Engage and reward repeat customers to enhance brand experience and generate a bigger amount of sales. What is Loyalty Reward Points for? Loyalty Reward Points Magento extension lets you provide reward points for both new and regular shoppers with internal store credits (reward points) that can be used for purchasing anything in your store. With this Magento extension you can easily add an Internal Credit payment method, effectively manage your customers’ credit funds, reward customers for special actions, set an expiration period for credits and track all credit activity with one report. 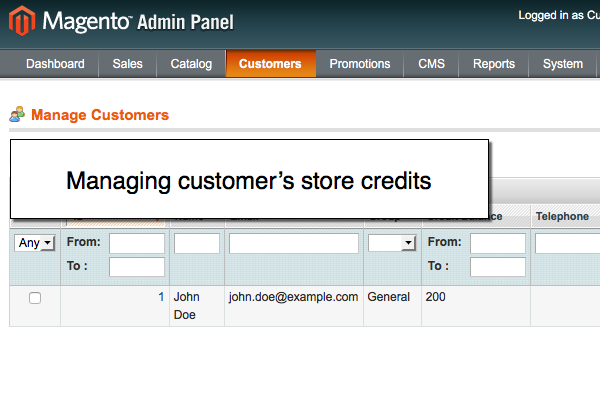 Fully automate the process of store credits addition via rewarding various types of customer actions. Grant store credits for doing certain actions (e.g. reviewing a product, signing up for a newsletter, etc.). 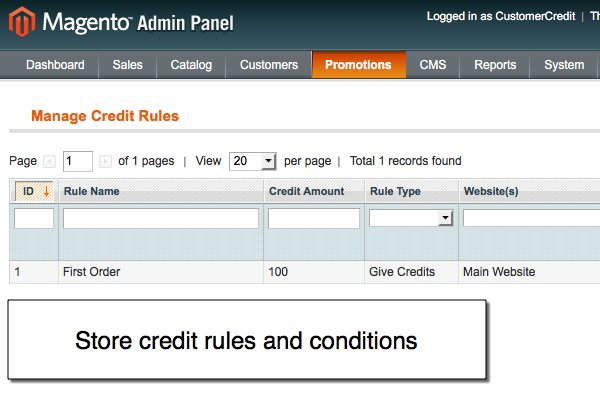 Plus, with Magento Loyalty Reward Points you can create rules to give a % of an order's total. NEW On top of that, you can set adding credits either as a one-time action or add them on a regular basis. For example, you can reward customers with 10% from an order's grand total if they purchase for $500+. Import/Export customers' credits in a .CSV file (using Dataflow Profiles). Processing refunds (you may return internal store credits instead of real funds). NEW You can assign custom email templates for each rule and different actions. On top of that, you can notify your customers when their Store Balance gets changed or send out an expiration date notice. With Loyalty Reward Points Magento extension you can allow your customers to refill loyalty credits on your Magento store using Recharge Codes. UNIQUE Generate Recharge Codes using Magento SOAP API. 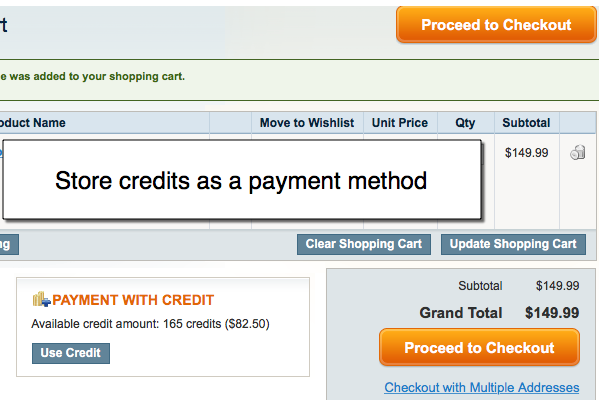 Partial payment will be automatically activated at the checkout when a customer doesn't have enough credits. Let customers share/ sell the earned reward points. This can bring you a bigger amount of active shoppers and increase the loyalty rate of your Magento store. 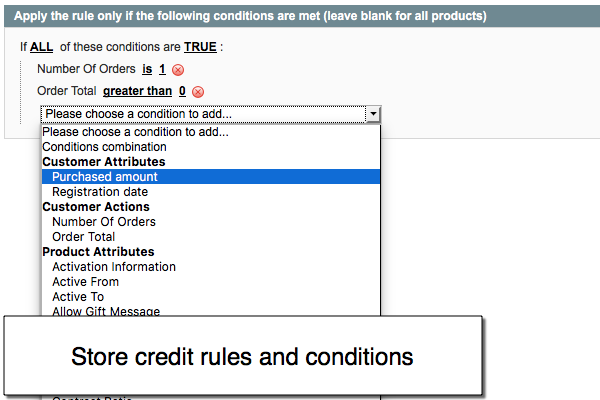 Customers can create credit codes for specific values of internal reward points and see when these codes are activated. The codes can be sent to anyone and used on your site at any moment later. 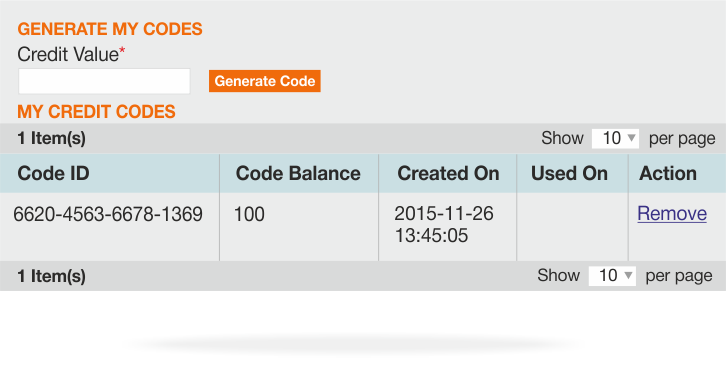 With the new Magento Loyalty Reward Points you can define when your store points get expired. 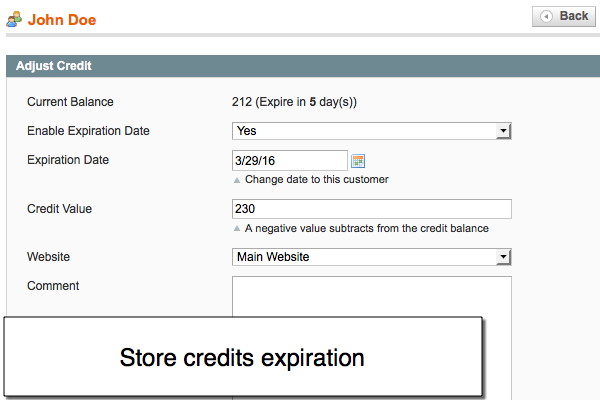 Define a period in days when customers get a credits expiration notification. On top of that, you can update or keep unchanged the current customers' balances if the default expiration setting is changed. Specify the exchange rate of 1 point to 1 unit of your store base currency. the stats on who, when and how updates store credits in your store. This Magento extension reports on any modification made to customer’s Credit Balance: you can see who modifies balances, how much internal credit funds were added or deducted, etc. Support of the checkout with multiple addresses (refers to multi-shipping checkout). Check Magento Loyalty Reward Points extension on Magento Marketplace. Support the charities you and your customers care about most. Add various donation options to your website and monitor all donation activities of your store. The best way to stimulate customers with rewards. This is a great extension for interacting with customers. The best way to stimulate customers with rewards. Fantastic extension and so easy to set-up. I can't wait to see what happens with my loyalty program in place. A great extension to our website to create incentives for repeat and long term loyal customers. Covers multiple aspects of customers loyalty program and is easy in use. Definitely recommend this company!!! Nice extension to add for a loyalty campaign. Frankly, giving reward points to customers doesn't work anymore. Who cares if they have a couple of store credits on their account? But if you change the way you present customers with internal credits, it can make wonders, and supercharge your loyalty program. This is what I did with thiss software. The extension helped me diversity the ways I reward my customers; also, I created tons of conditions for adding store credits and split and targeted different customers groups. All that helped me finally get reward points work for my store - the conversion rate on the whole increased by 0,7%, which is awesome for my niche. And last but not least - the spport is super quick and really helpful!